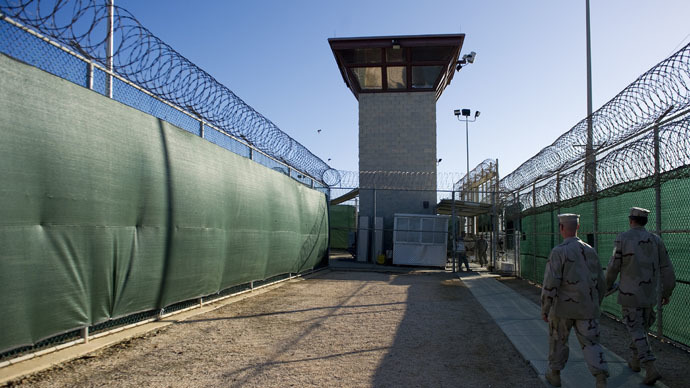 A Yemeni detainee found dead in Guantanamo Bay last year committed suicide by overdosing on antipsychotic drugs and a mix of other narcotics, a report revealed. Guards and medics are facing accusations of lack of oversight and procedure lapses. The 79-page military report concluded that detainee Adnan Farhan Abdul Latif had ingested 24 capsules of an anti-psychotic drug known as Invega, prescribed for mental illness, and a mix of other narcotics unassisted. Latif was found dead in his cell on September 8, 2012, at the Guantanamo Bay, Cuba, detention facility after being locked up for over a decade. An autopsy found codeine, oxycodone and lorazepam among a total of nine narcotics in his body. All of the medication was prescribed by prison doctors to help the detainee with his ongoing mental and physical illnesses. It was also discovered that Latif had pneumonia at the time of his death. The report highlighted operational lapses, including guards and medical personnel not following procedure when distributing pills and in overseeing the consumption of the prescribed dosage. Also, the guards broke the rules when they failed to check on Latif in his cell through two shift changes. The report fails to establish exactly how Latif was able to hoard large dosages of the drug over several weeks and how he was able to move them when he was transferred to a new cell the day before he died. Latif's lawyer David Remes suggested that a guard might have slipped the drugs to the deceased and pointed out that the investigators did not interview detainee witnesses. The report mentioned that the guards did not search Latif’s copy of the Koran. Neither did they search something else that was redacted from the report, which was possibly referring to private areas on his body, the New York Times quoted a source close to the investigation as saying. The report was released by the military after a Freedom of Information Act request by Jason Leopold, who has written for Truth-out.org and Al Jazeera. He is said to have suffered manic periods of hyperactivity (jumping for hours in his cell, doing backflips off the wall). Latif talked about wanting to die and since 2003 he repeatedly tried to harm himself including incidents of head-banging, wrist-cutting, choking, ingestion of inedible items and hanging. Latif’s anguish began once he was brought into Guantanamo with one blind eye and a traumatic brain injury, as well as the prison guards’ efforts to deal with his attempts to hurt himself. 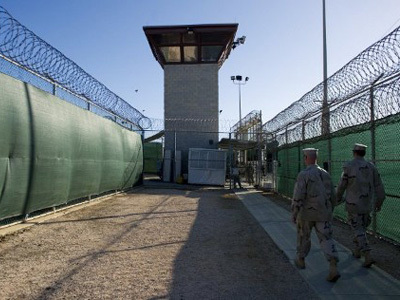 The deceased was among the first detainees taken to the prison after being captured at the Afghanistan-Pakistan border in December 2001 following the US and NATO invasion of Afghanistan. Latif explained that he was going to Afghanistan to get free medical care for his head and eye injuries received in a car crash in 1994, and was supposed to meet a fellow countryman who worked at a charity organization. 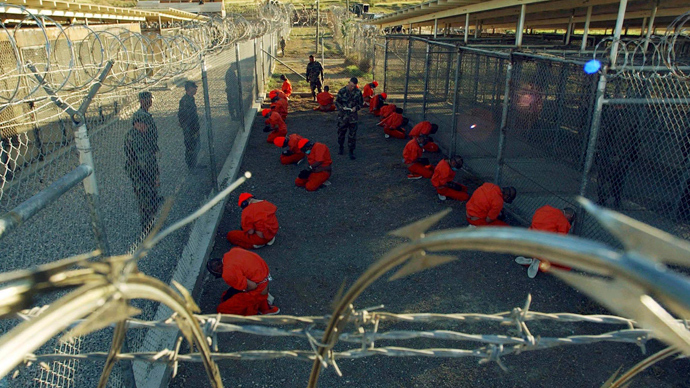 Later Guantanamo doctors confirmed that the detainee’s blindness was consistent with a traumatic injury. He was able to challenge his detention as the US District Court in Washington in July 2010 ruled that he could be released from prison, but in 2011 Washington overruled that decision, arguing that Latif was an Al-Qaeda combatant recruited and trained in Afghanistan by the Taliban. The report specified that Latif’s final “downward spiral of behavior” began in June 2012, when he was told in a phone call with his lawyer that the Supreme Court had declined to hear his appeal. Latif died in solitary confinement in Camp 5, which holds prisoners who have violated the facility's rules. He had been disciplined for splashing a guard with a"cocktail," a mixture of food and bodily fluids. Remes blames the US prison system for his client’s death. "He was so fragile – he was so tormented that it would not surprise me if he had committed suicide," Remes said. 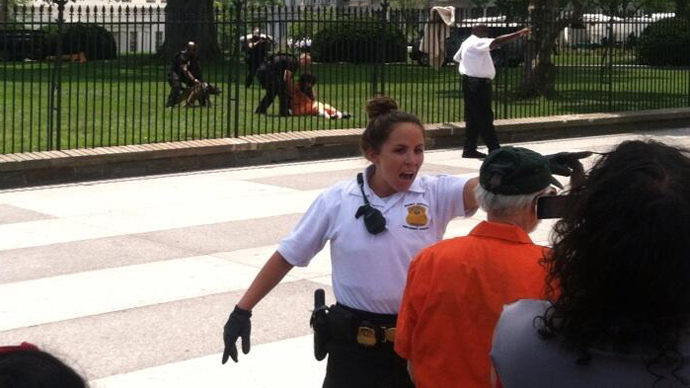 "However you look at it, it was Guantanamo that killed him." The report noted that the day before Latif’s suicide, the detainee sent a letter to his lawyer with the remark “to die is better than to live.” Remes could not comment on the letter because the military has deemed it classified. 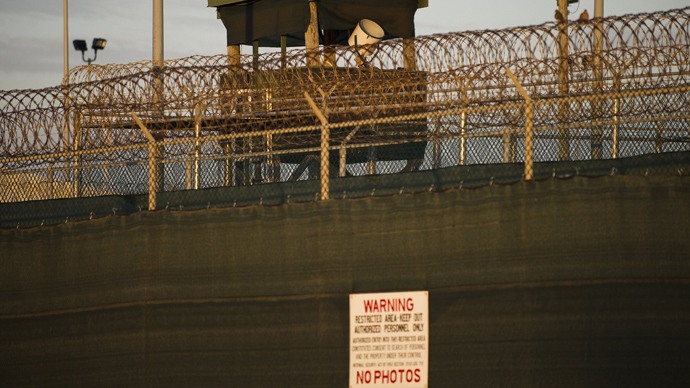 Military statistics revealed that a total of seven detainees have committed suicide while they were held at Guantanamo. A mass hunger strike has been unfolding in the notorious Guantanamo Bay prison for over three months now. As of Friday there are 106 out of 166 detainees on hunger strike, with 44 being forced-fed, deputy director of Guantanamo public affairs Lieutenant Colonel, Samuel E. House told RT.